Whyte learned his trade at Arsenal, having played on their doorstep for Highbury Grove, Islington and Inner London Schools. He went to the Gunners in August 1977, turning professional in September 1978. Although he won four England Under-Twenty-one caps in 1982, it was not easy breaking into the Arsenal first team where David O’Leary was the king in central defence and after partnering him for two seasons he found himself behind Tony Adams and Tommy Caton in the pecking order. Whyte spent two months on loan at Crystal Palace in August 1984, where he made thirteen League appearances, and in 1986, after scoring eight goals in ninety League appearances, of which four were from the bench, he left Highbury and went to the United States to play indoor football with Los Angeles Lazers when he was released by Arsenal and no League club was interested in securing his services. He returned two years later to play for West Bromwich Albion in August 1988. The Baggies ‘Player of the Year’ in 1989, after scoring seven goals in eighty-four League games, one of which was from the bench, was snapped up by Leeds for £400,000. He proved a rock-solid investment and the dependable defender played a major part in establishing United back in the big time after the Seceond Division championship had been won in 1989-90. His days at Leeds were the best of his career where his skilful use of the ball at the back made him one of the most efficient members of the side which won the First Division title and he was close to being an ever-present for almost three seasons. But as he started to approach his mid-thirties at Leeds, a new breed of defenders like David Wetherall and Jon Newsome were coming through and so Whyte was sold to Birmingham City for £250,000 in August 1993. At St Andrew’s he won a Division Two championship medal in 1994-95 and the following season played against Leeds in the Coca-Cola Cup Semi-Final after being recalled from a loan spell with West Ham United, scoring an own goal winner for Leeds in the first-leg. He scored one goal in sixty-eight League appearances. After a brief spell at Coventry City on loan in December 1995, where he played just one League game, he shortly afterwards moved to Charlton Athletic in March 1996. 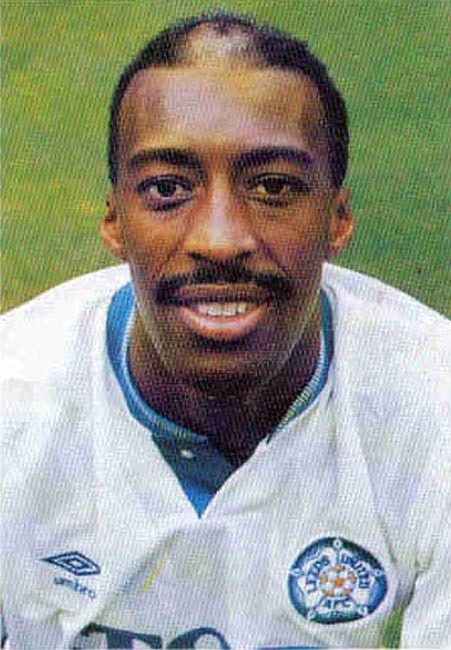 He made ten starts and one substitute appearances at the Valley in League games before joining Detroit Neon in the United States in June 1996. He returned to England and had spells with Leyton Orient in January 1997 and played one League game, then Oxford United in February 1997, where he played ten League games, and then joined Non-League Rushden & Diamonds in June 1997 where he stayed for two years. He then returned to the United States for a spell with the Raleigh Express in the A-League before returning to England to play under former Arsenal teammate Ian Allinson, manager of Harlow Town of Rymans League Division One in November 1999. In 2000 he played for Finnish third-division club HyPS, but soon returned to England. He then worked as a chauffeur and for Tesco.